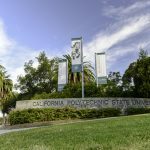 SAN JOSE, Calif. – June 1, 2017 – The Center for Advancing Women in Technology (CAWIT) announced that University of California, Davis, has joined the Technology Pathways Initiative (TPI), which aims to increase the number of U.S. college women graduating with computing and interdisciplinary computing degrees and pathways to digital age careers. These women are expanding and enriching the ranks of graduates with knowledge and skills to fill an estimated 1.1 million computing jobs in the U.S. by the year 2024. UC Davis will develop a new interdisciplinary major in Quantitative Biology and improve an existing interdisciplinary Cognitive Science major, making computing education more accessible to a diverse and underrepresented population of students that includes women. Belle Wei, CAWIT Board Chair: “We welcome UC Davis, renowned for its biological and neural science programs, into the alliance of universities and industry partners driving TPI forward to benefit current and future generations of students who will expand the frontiers of science and technology.” Dr. Wei is Carolyn Guidry Chair, Engineering Education and Innovative Learning, and former Dean, College of Engineering, San José State University. TPI universities include San Francisco State University, San José State University, UC Berkeley, and UC Davis. TPI university pilot programs are made possible by a $3 Million commitment from TPI industry partners including Intel Corporation, KLA-Tencor Foundation, and Salesforce, which also provide mentoring and internships for participating students. Founded in 2014, CAWIT is a Silicon Valley nonprofit organization providing a collaboration platform for university, industry, and government leaders to create new pathways for advancing women in technology, from campus to career. cawit.org.